Wheel balancing involves matching the combined weight of the wheel and tyre so that it is even on the axle ensuring that it rotates efficiently at high speeds. This is done by counter-balancing the weight bias by placing tiny weights at specific points around the wheel. ATS Euromaster recommends having your wheels checked or balanced every 10,000 miles or after suffering an impact from a kerb or pothole. We use the latest technology in centres to ensure wheels are balanced as accurately as possible to the nearest gram. We make sure every new tyre bought at ATS Euromaster is balanced properly before you leave. 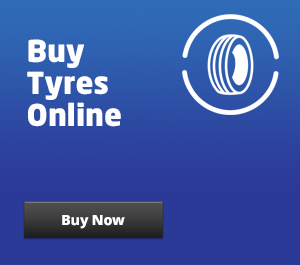 See all our available tyres. How much does it cost to have your wheels balanced? Wheel balancing costs £7.16 per tyre and can be carried out across our network of over 280 centres. 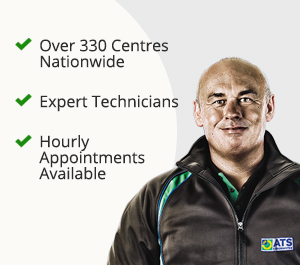 If you wish to book an appointment to have wheel balancing carried out you will need to find your nearest ATS Euromaster. You cannot book an appointment online and will need to do so by phone. What are the benefits of wheel balancing? The main benefit of having correctly balanced wheels is that your tyres with be performing as efficiently as possible. If your tyres are not correctly balanced this can lead to more serious and far more expensive, vehicle issues in the long run. One of the first issues you will find is your steering wheel starts to vibrate at certain speeds. This can potentially make it more difficult to keep control of your vehicle and provide an uncomfortable ride for the vehicle occupants. If your tyres are unbalanced you may also notice uneven tyre wear, which may result in you having to replace your tyres a lot sooner than you need to. This can also cause a drop in fuel economy, however, this may be less noticeable. If the wheels of your vehicle are left unbalanced for a long period of time, the stress on the wheel bearings and suspension system can cause them to wear more quickly. Which could result in a much more expensive problem to fix. What are the symptoms of imbalanced wheels? Wheel balancing is available from your local ATS Euromaster and is carried out whenever you buy a new set of tyres, you can visit us in-centre. What is the difference between wheel alignment and wheel balancing? There is often some confusion between these two services as they sound similar and both support the long term health of your tyres. However, these two services are very different. In simple terms, wheel balancing ensures that the distribution of weight around the wheel is equal, a tyre fitter will add tiny weights to counter any imbalances to ensure the tyre rotates efficiently and evenly. Wheel alignment however looks at the position of the wheels in relation to the road and each other. This helps ensure your vehicle drives in a straight line and are in the optimum position.